Time flies when you're having fun. Without noticing, I blew past my 1000th blog post here on Landless. It was a limerick about the self-publishing debate. Hardly an auspicious post for such a round number, is it? 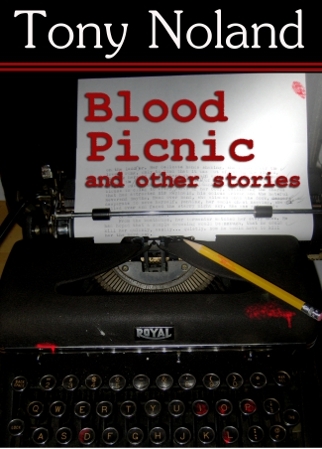 In honor of this occasion (which I kinda missed), my collection of flash fiction and short stories, "Blood Picnic and other stories" is free to download for the next month from Smashwords. Just use coupon code LA38K and you can have this collection for Kindle, iPad, iPhone, PC, Mac, Android or three-ring binder. Totally free. You can still send me a couple of bucks if you want to, but it's not necessary. Also, what should I have done for my 1000th blog post? What's below is a screen capture, but there's an actual poll up on the left side. People who read this blog via RSS will have to actually come visit http://www.TonyNoland.com to register an opinion. You can select multiple options, so feel free to let me know. To everyone, reading here at the website, via RSS or via e.mail, thank you! The first 1000 posts have been fun and I look forward to the next 1000! I blew past my thousandth, too, Tony. Ain't no biggy. But I voted!